If you have a website, you would most probably have encountered cPanel. It is the default control panel for shared hosting that most of us start off our digital journey on. But you might someday need to move away from shared hosting. Perhaps you are hitting the limits of your shared server due to your online store’s extensions or perhaps your blog has grown in traffic and you frequently get 503 errors. Or perhaps, you are a web designer, web developer or work in a digital agency. And you need an affordable but yet powerful host for your clients’ websites to bring better SEO results. 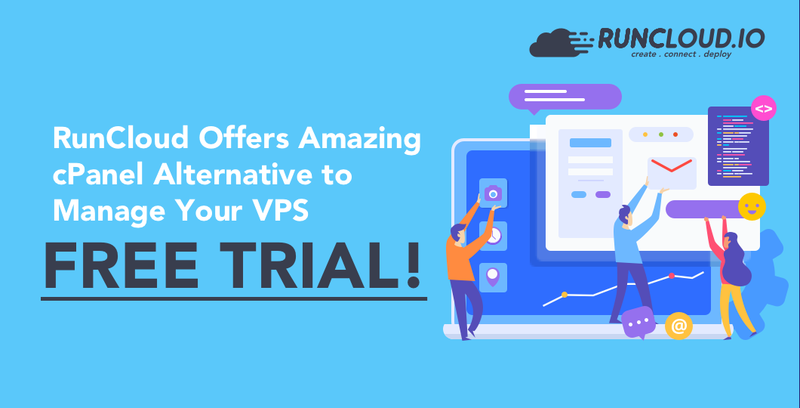 If that’s you, read on as we help you understand why RunCloud is an amazing cPanel alternative for your VPS. You see, while managed VPS servers are good, they are expensive and eats into your margin. 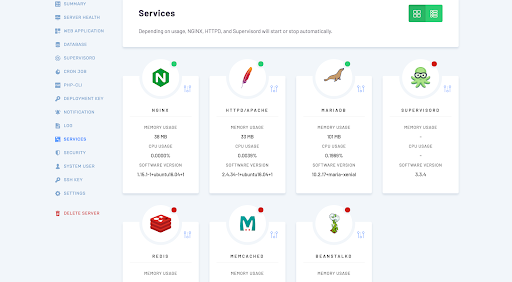 Unmanaged VPS solutions like Linode and DigitalOcean, on the other hand, are affordable and powerful, though managing them can prove a hassle. Especially if you are no terminal/command-line hero like myself. That’s why we use control panels like cPanel or better, RunCloud, a lighter and better alternative to manage your VPS servers. cPanel is one of many control panels that are built with web hosting companies in mind. Though feature rich, most features might not be useful for the average digital agency. Rather, they end up as a resource hog, taking up precious space and RAM. 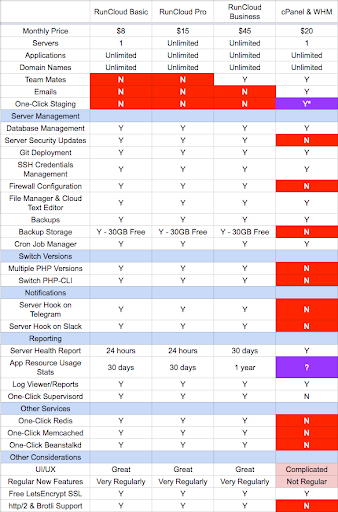 In comparison, RunCloud is a great alternative to cPanel. Instead of needless features, RunCloud makes it easy for web development and deployment of websites and web applications. RunCloud starts at $8/month for a single server and $15/month for unlimited servers. In comparison, cPanel goes at a flat rate of $20/month for each server you have. Provisioning and monitoring multiple servers is crucial as you grow your digital agency/freelance business. With RunCloud, you can easily connect and multiple VPS servers. All from one dashboard. 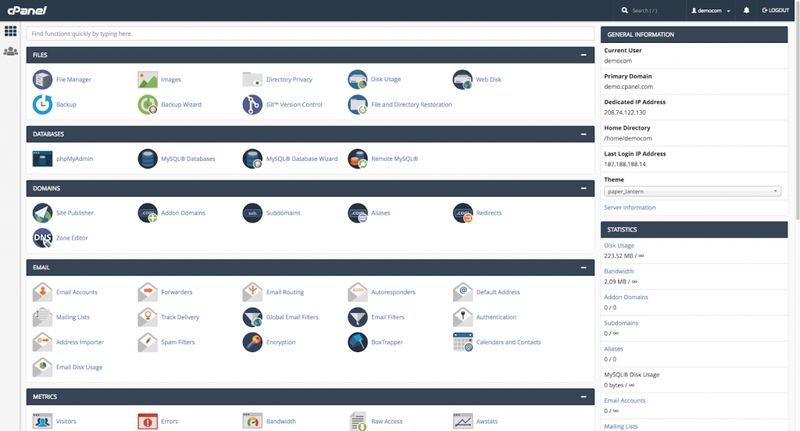 With in-depth reporting, automated notifications to Telegram and Slack and the ability to add teammates (RunCloud Business), RunCloud is an amazing cPanel alternative to those looking to scale their online business. Often times, I find myself needing to modify some files for a client. Rather than downloading the file, only to upload it back again after editing or FTPing into the server to make the changes, you can easily adjust and edit files using RunCloud File Manager & Cloud Text Editor. 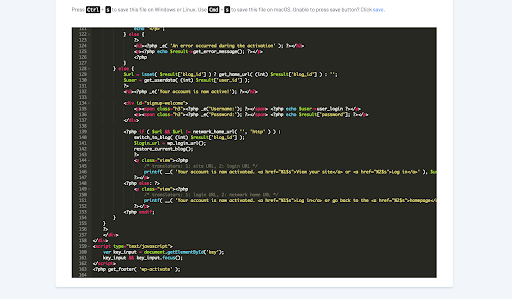 When you view or edit files, you are switched to RunCloud’s Cloud Text Editor, which looks elegantly similar to Sublime Text, with syntax highlighting and an easy way to save changes. In comparison, cPanel’s File Manager feels crowded with its numerous of buttons and options. With additional features, the cPanel File Manager can get overwhelming. Plus, I prefer managing things via CyberDuck and Forklift. Though cPanel also features its own Text Editor, it has limited features compared to RunCloud’s. Plus, we are limited to a white background with no ability to switch themes. Overall, adding a Cloud Text Editor to the File Manager speaks of good design on RunCloud’s behalf. A few minutes saved every now and then adds up quite substantially in the long run. Yes, I mentioned this in point two. But let me elaborate. While you could manually check your control panel every few hours or so, why not get notified automatically whenever your servers run low on resources? With RunCloud, I can fully focus on work and be assured on the servers I maintain. RunCloud features HTTP/2 and Brotli support out of the box. These help with performance optimisation and results in faster load times as well as SEO results for your clients. You don’t have to fiddle with the command line anymore with RunCloud. While you can install Memcached on cPanel in a few steps, installing Redis and BeanStalkd is more complicated and might require some trial and error. With RunCloud, you could easily activate and deactivate these services. While RunCloud does almost everything you need in a server management platform, it lacks the off-the-shelf ability to do emails. That doesn’t mean you could install an open source mail server software. You could, but no, RunCloud does not provide emails as an option on their dashboard. Having said that, it is actually good practice to separate mail service from web hosting. Running and maintaining Mail Servers are complicated and troublesome. Plus, what if your client wants to migrate their emails? Or get blacklisted? If you plan to move to a VPS server, do give RunCloud a try on their free tier. Why pay for an expensive managed VPS hosting when you can easily handle servers with RunCloud? With Automated Security Updates, Unlimited Server Management, Instant Server Notification and other features built with web developers and digital agencies in mind, you won’t go wrong with RunCloud. It is a great cPanel alternative for those wanting to hassle-free management of VPS servers. Been using runcloud and it is indeed a great alternative to cpanel if you wish to manage servers in my case Digital Ocean. We use runcloud and cpanel. They both have their plusses and minues, but runcloud isn’t nearly as mature or feature reach as cpanel. Several of the features you say cpanel doesn’t support are incorrect, like multiple PHP version and server updates. Also, cpanel has many other features you’re overlooking, like plugin support, account transfers, backup to S3, Google Drive and remote FTP, DNS server and dozens more. Cpanel also doesn’t rely on a third party website to access the control panel. 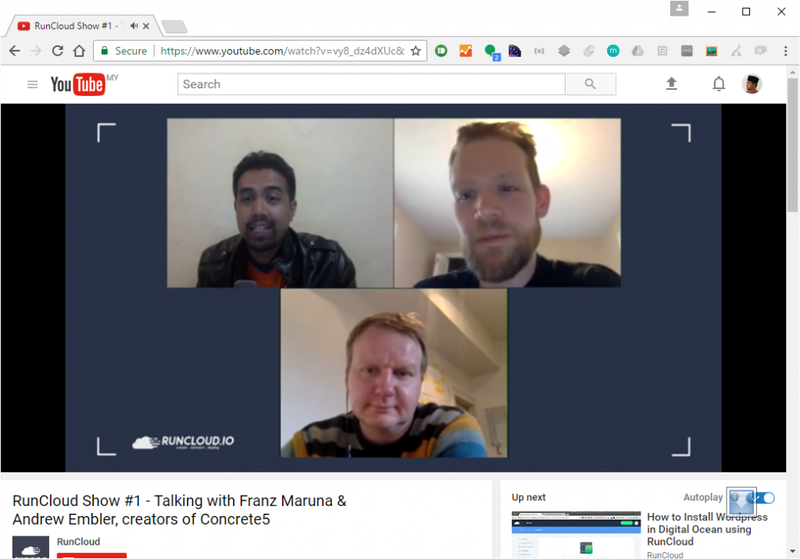 Runcloud definitely is on the right path and has some unique features over cpanel, but has a long way to go to be a real competitor. Posted a comment yesterday and it still hasn’t appeared. 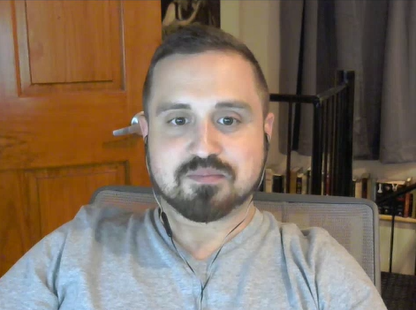 Are you moderating anything you don’t like even when it’s accurate? That’s not something that reputable companies do. No. We require 1st-time comment needs approval. The file manager comparison is not fair. With Runcloud you can’t upload/download, you can’t zip/unzip, you can’t move/copy/cut/paste. These are basic options of every file manager in the world except for Runcloud and I believe nobody would say they are “overwhelming”. I like Runcloud but sometimes I really miss Cpanel, especialy when I need to zip/unzip.